The Annex was set up in this location in 1900 with timber from a much older building. 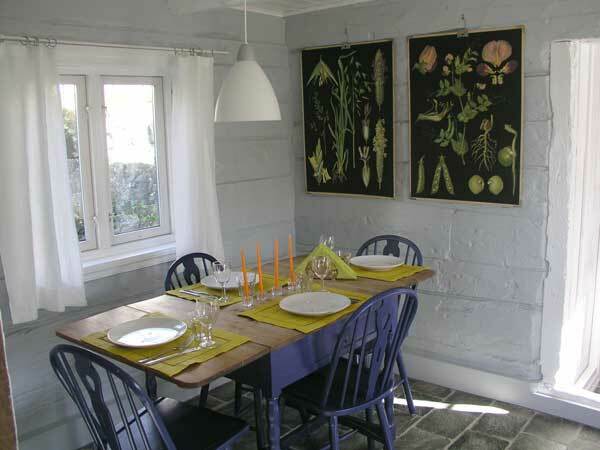 It was used as a shed for about a century, before we turned it into an intimate house for living in the 1990s. Totally renovated i 2005 with new kitchen and bathroom. The Annex contains living room, kitchen, bedroom on the loft, bathroom. 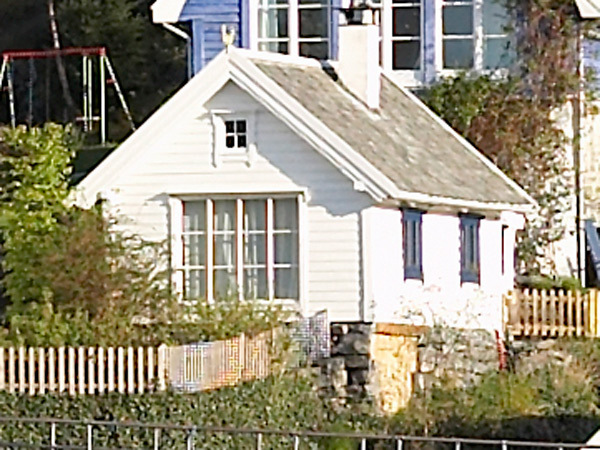 The house is small, but practically fitted. 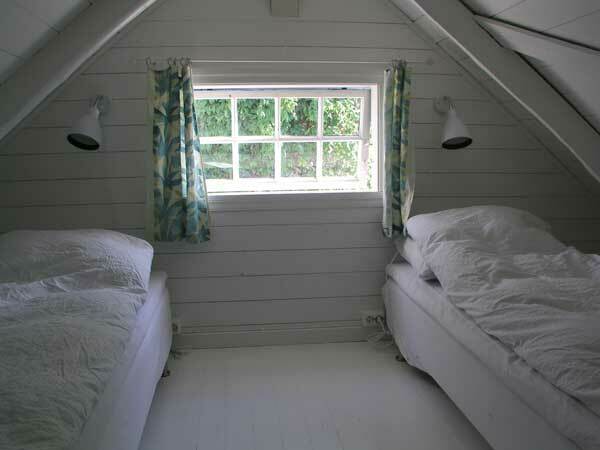 There are 2 comfortable beds in the loft, and 2 beds on a sleeping coach in the living room. Extra matrasses on request. All floors water heated. The Annex has its own part of the garden with a nice view to the sea. 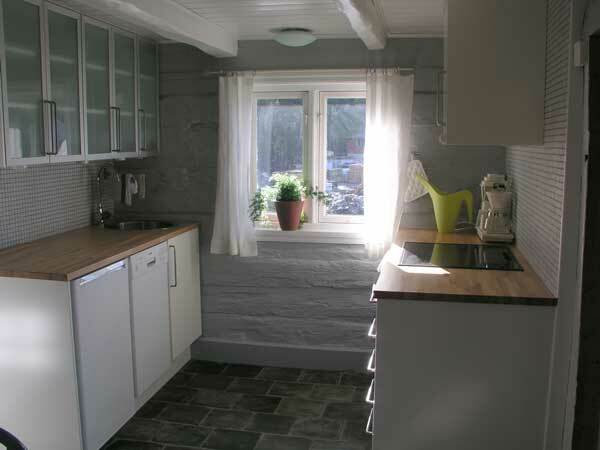 Kitchen contains built in electric stove, fridge, freezer, dishwasher, washing machine. Fireplace and TV/dvd in the living room. 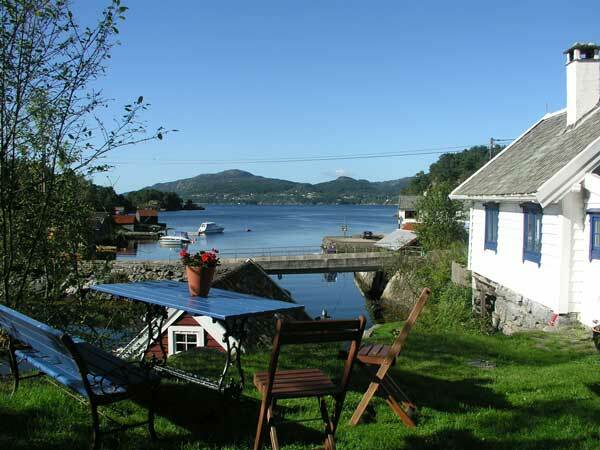 But the main attraction is the view to the fjord. A rowing boat with outboard engine is at disposal, fishing equipment on request. 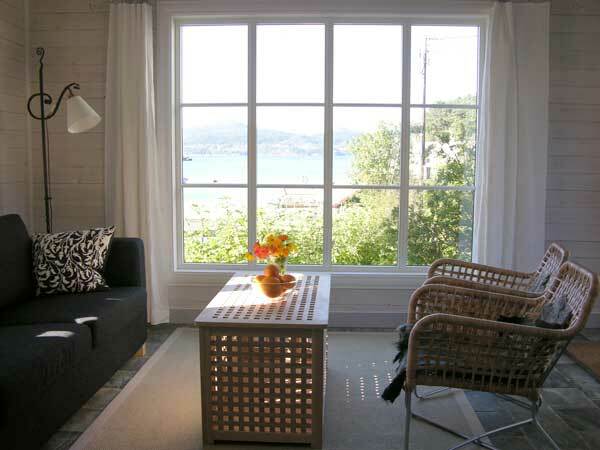 Parking on the property, beach 150 m away, a lovely forest with many solitary tracks 25 m away and not the least, the city of Bergen 25 minutes away by car. Warning: The roof height in the kitchen and on the loft is not suitable for very tall persons. Check for prices at the home page. 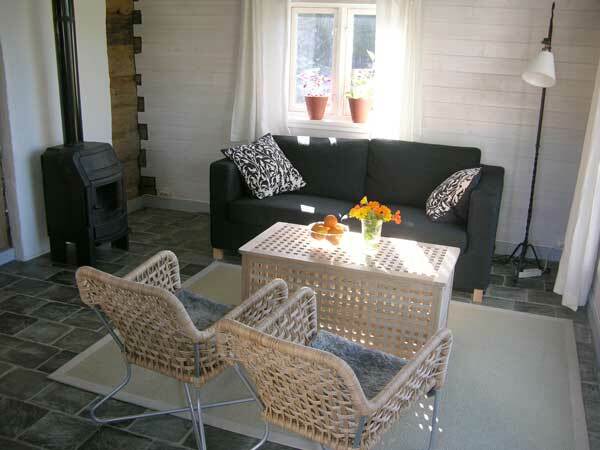 Off season we offer affordable rates for monthly stays or longer.